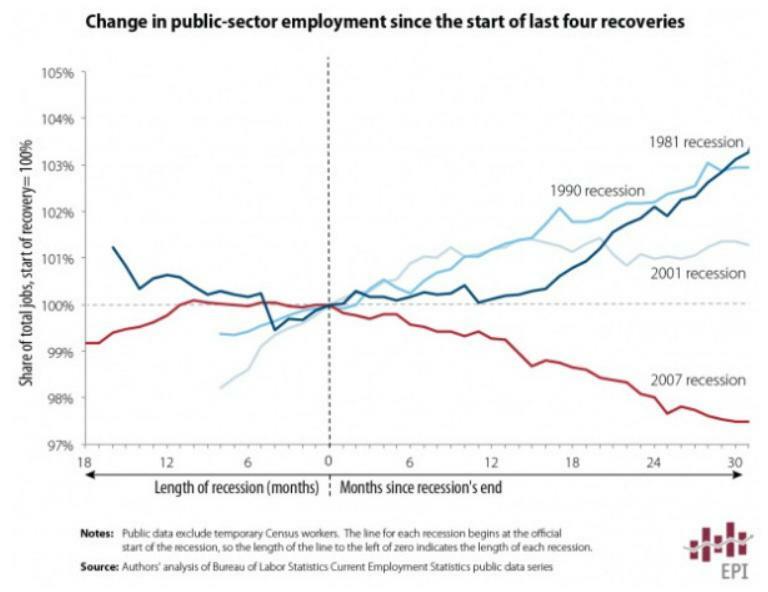 According to Media Matters for America (MMfA), recession recoveries usually see an uptick in hiring in the Public Sector but the latest recovery bucks that trend. From their twitter account we see this picture. So MMFA are like totally ok with Obama saying “the Private sector is doing fine” and we need to hire more people to work in the public sector (i.e. Government payrolls) because we’ve done that in the past and it worked. But there is another graph that also shows the percent change in employment post-recession for this recovery (if you can call it a recovery) and it indeed shows State and Local employment shrinking by 1-3% just like the MMfA graph but the story is radically different when we look at percent change in employment in the Federal government. Here is a graph from the Heritage Foundation article showing what this “Recovery” has done to employment changes in the various sectors. 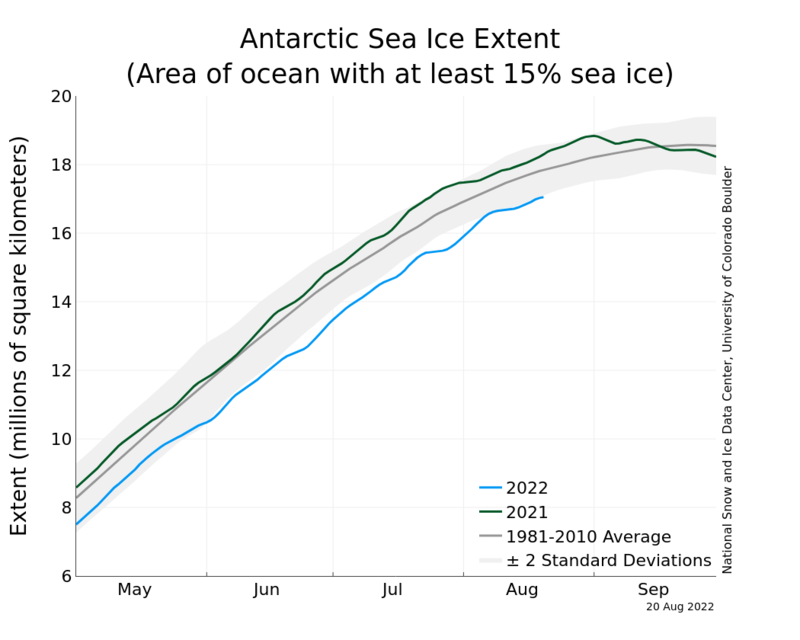 Without seeing the links to MMfA’s data, I can’t say for certain why they are different but I can say for certain that MMfA chose not to highlight the massive increase in Federal Government hiring and the fact that the Private sector is still doing worse than the State and Local sectors. I wonder why they did that? It’s because the statements by Obama last Friday were not a ‘gaffe’ (which would mean the statement was taken out of context or he said something that he didn’t mean) but a true revelation of how Obama thinks about the economy. The goal of the Left has always been to move us closer to Socialism and build up the Government payrolls while decreasing the Private sector and in Obama’s view, the decline in Private sector employment is ‘fine’ to him because that is what his worldview endorses. Obama and his chief mouthpiece, David Axlerod, had ample opportunity to walk back Friday’s statement but instead they just deflected the questions. They realized they made a mistake in revealing their true intentions to the American Public and now they are exposed. 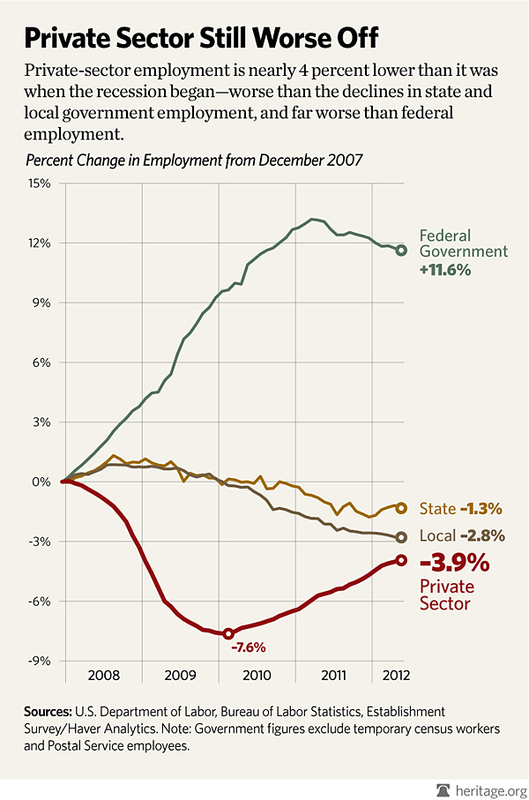 We already showed from the Heritage graph where the Private sector job gain percentages are still much worse than the Public sector (Local, State and Federal) so that statement is just false. But notice Krugman again doubled down on the Leftist theology that it is “not good” that the Private sector is doing better than the Public sector. Even if the Private sector was doing better than the public sector- which it isn’t – that would actually be good but Leftists don’t think so. Liberals have been trying to conceal their true intentions for decades and if there is one good thing that has come from the Obama/Pelosi/Reid regime, it is the revelation of their truly socialistic agenda.